August 5, 1931 ~ January 25, 2018: Margaret loved to travel, dance, read and attend garage sales. Margaret passed away peacefully in Dallas, Oregon on January 25, 2018. She was born on August 5, 1931, in Portland, Oregon, to William and Barbara Hill. Margaret was the second of four children and grew up in the Portland area attending Catholic Schools. 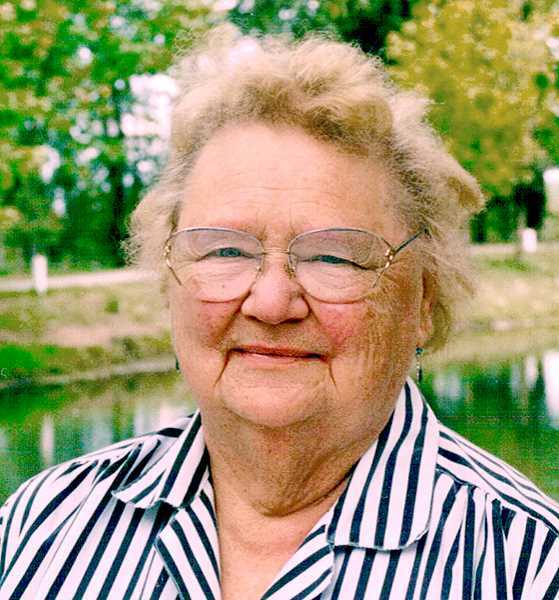 She spent much of her adult life in the Willamette Valley. Before she retired she worked at Fairview Training Center for over twenty years. Margaret loved to travel, dance, read and attend garage sales. She was also a member of the local Eagles and Moose Lodge. She enjoyed spending time with her children and grandchildren most of all. Margaret loved people and people loved her, she always had a smile for everyone. Margaret was preceded in death by her parents, brothers Frank Hill, Leonard Hill and sister Barbara Petsch. Margaret is survived by her 8 children, Steven Dunn (Charlene), Peggy Prather (John), David Dunn, James Dunn (Nancy), Kathy Chambers (Tarchechee), Jodie Fleck (John), Linda Tinsley (Roy), and Michael Teisl (Kay). She had 23 grandchildren and 32 great-grandchildren and 1 great great-grandchild. Mass at 10:30 a.m. Feb. 10 at St. Luke's Church in Woodburn. Graveside service and celebration of life to follow.